What's the difference between Native Apps, Web Apps and Hybrid Apps? Hello Techies, after a long while, we are back. We had posted on our Facebook Page about how to seamlessly transition users/readers from your mobile and desktop website to the equivalent content within your app/native app with Firebase Dynamic Links. We received your questions about Native Apps and decided to do this explained article on Native Apps, Web Apps and Hybrid App. There are many Apps nowadays, many people have moved to hand held devices such as smartphones, phablets and tablets. This trend makes it very important to have Native Apps, Web Apps and or Hybrid Apps for your clients or readers. A developer will ask you which one do you need that is appropriate for your business, your budget and more so your deadline. Don't go blank. 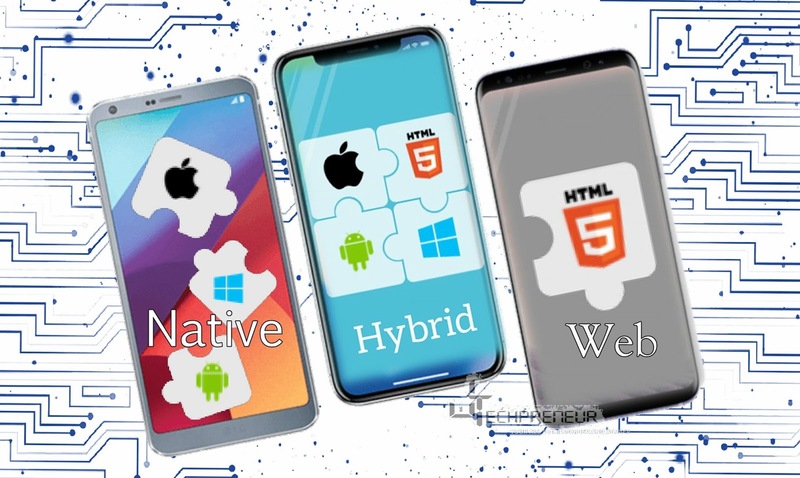 A Native App is one that is developed particularly and specifically for a specific cell/smartphone Operating System and introduced straightforwardly onto the gadget itself or downloaded from apps stores, for example, Google Play or Apple App Store and Blackberry. Majority of apps on your smartphone are native applications. Why are native apps particular on Operating System? Native apps are written/developed in languages that the platform they are being built for accepts. For example, Swift or Objective-C is used to write native iOS apps, Java is used to write native Android apps, and C# for the most part for Windows Phone apps. Native app development is preferred for: high-performance apps. Apple and Google offer app developers their own development tools, interface elements and standardized SDK (Software Development Kit); Xcode and Android Studio. This allows any professional developer to develop a native app relatively easily. Examples of Native Apps are Pokemon Go, Twitter, Facebook, Waze and Camera+ App for iOS users. Faster access to built-in features of the device like GPS, camera, microphone... It’s still possible using the alternatives, but it’s easier and faster on native. As much as Native apps are high performance apps they do offer the fastest, most reliable and most responsive experience to users unlike web apps. Push notification: Naive apps can notify users when an app needs their attention. High price and long development time especially when the app is needed to be compatible with multiple mobile devices and platforms. Content not seen b search engines. Support for multiple versions of the applications can be difficult because different mobile devices can be using different versions of the app. Satisfied? If not please post your comment(s) below or email us jtechpreneur@gmail.com. If not please move on and read on Web Apps.